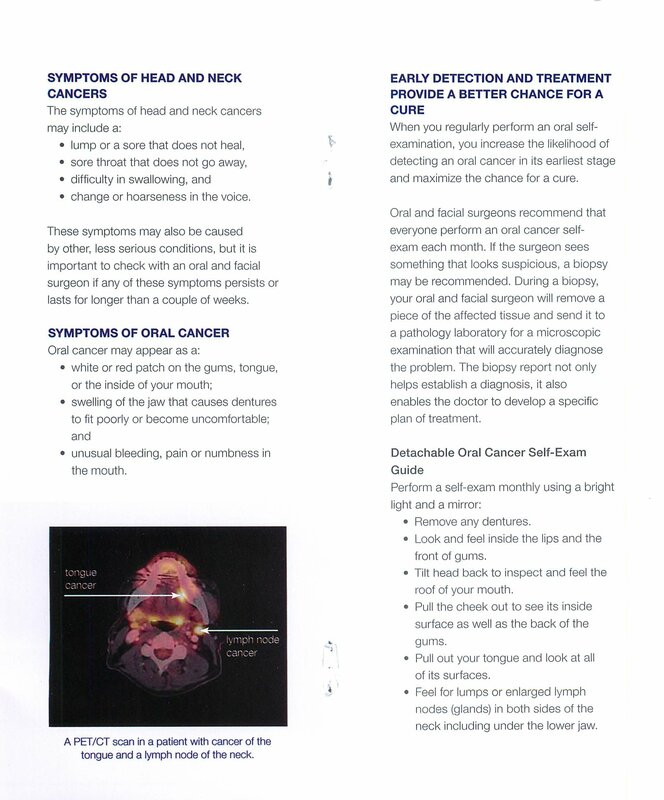 Many times I have patients or family members ask about oral cancer and how to prevent it, or even how to recognize it earlier in their loved ones? 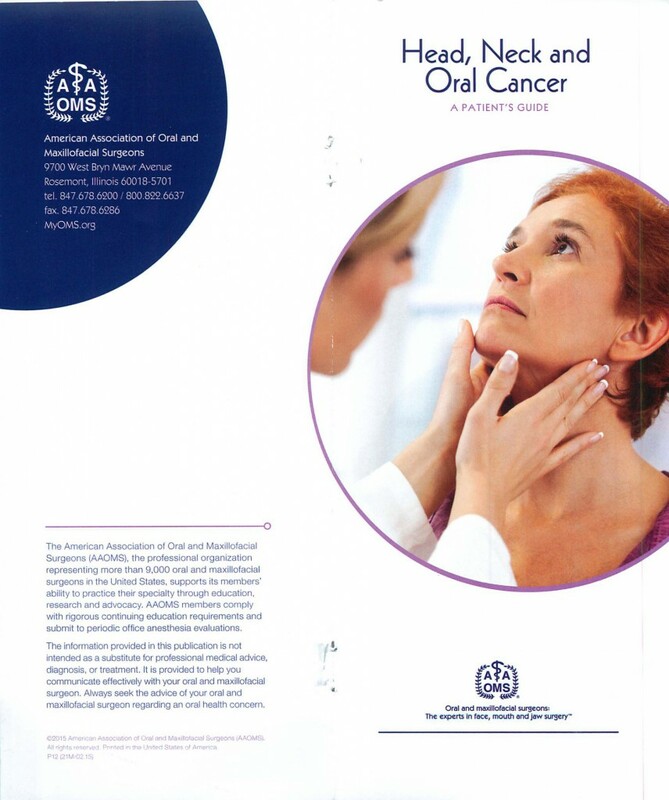 The American Association of Oral & Maxillofacial Surgeons) AAOMS provides lots of useful pamphlets on important topics, such as Oral Cancer. 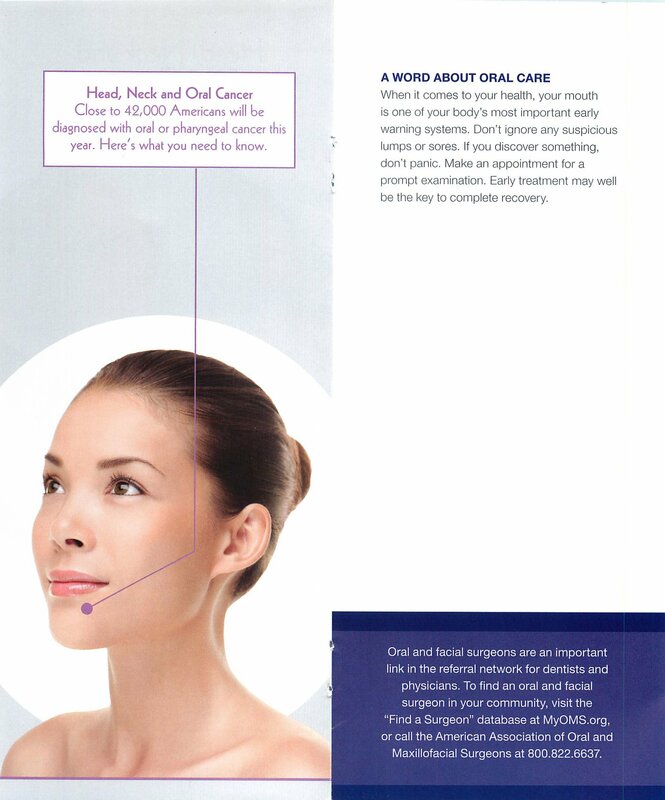 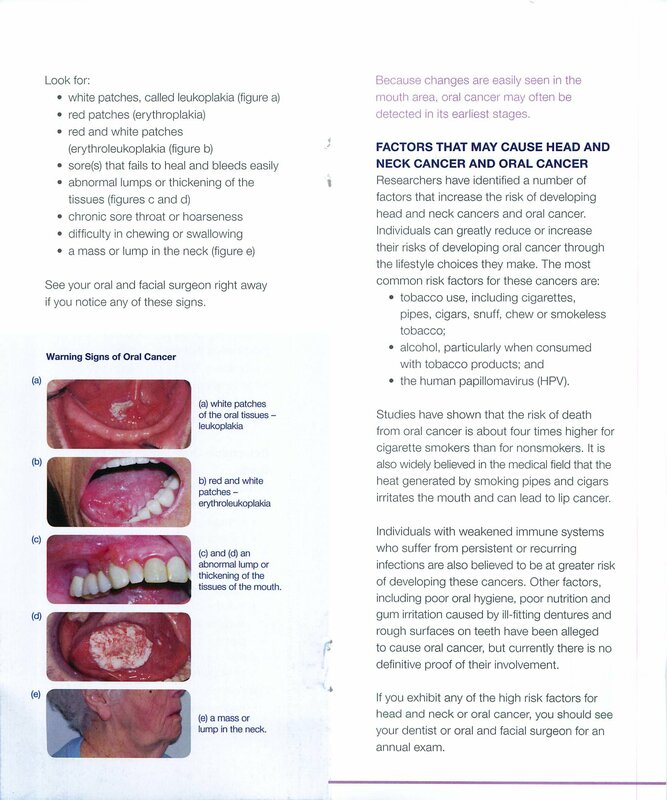 I think the following pamphlet is a great summary for what to look for when it comes to oral cancer.